Religious Roots: Fin(n)ish(ed) - another graduation! Is there only good news from Lund? 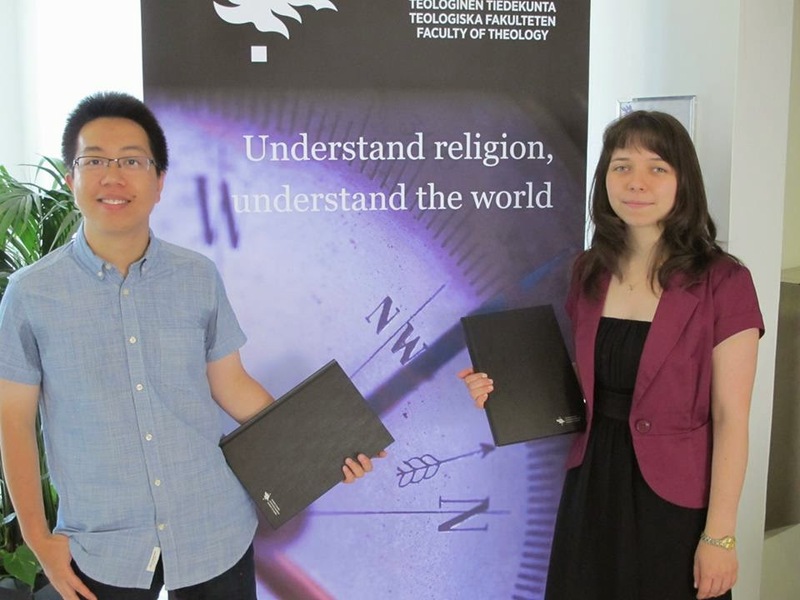 Of course not - this message is somewhat delayed, but on June 16th, two students from Helsinki received their degrees! Their names are Zejian Zeng (from China) and Tanya Milova, who is from Russia. Big congratulations to both of you; you can be proud! We wish you all luck with whatever future plans you have.